As a leading Systems Integrator in the material handling and storage industry, we have designed, engineered and installed material handling and storage solutions for large and small companies throughout the U.S. Customers choose Morrison Company because we offer expertly crafted design applications specifying trusted premium product lines and we’re not satisfied with the end result until the customer says that they are. Since 1929 we have formed lasting relationships with product manufacturers which allows us to design completely unique solutions incorporating just the right combination of equipment. We strive for the most efficient use of our customer’s time, money and space. At the completion of our projects, our customers proudly own a high quality, cost-effective system and our suppliers have obtained a showcase for their products. Our goal is not defined by winning the order. We are here to build long lasting relationships with our clients and our partners – success is what follows. 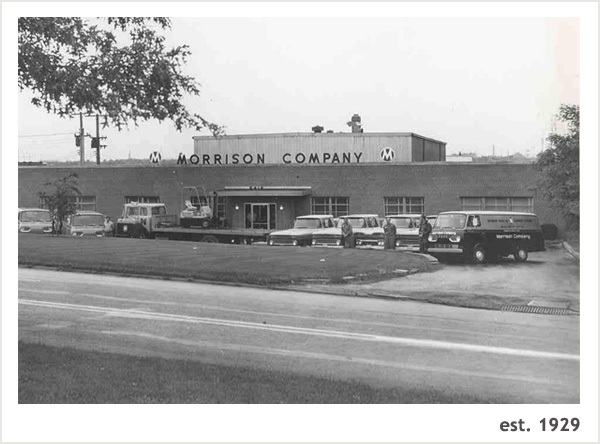 At Morrison Company, we recognize that our strength is dependent upon our quality product lines, skilled personnel and industry experience to bring the best material handling solutions to our customers. Our many long-term industry relationships are proof of our commitment to this philosophy.